7 WAYS TO BEAT YOUR WINTER WOES. Not everyone enjoys January. Whether you're feeling bloated from Christmas festivities, depressed at your depleted bank balance, feeling like you're already failing at your new year resolutions, or dreading those early morning starts for work, January can leave you feeling not quite as motivated as you'd hoped. Combine that with the lack of light and cold weather and it's no wonder it can all have anything from a mild to severe effect on our mood. 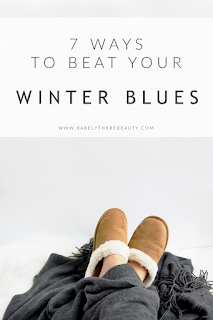 If I'm not careful, I can fall foul of S.A.D or the winter blues, and if the change in seasons has left you feeling down in the dumps too, my tips could soon help you on your way to feeling a little brighter. As a lack of light is a large part of feeling down in winter, I think it's important to get outside as much as I can during the day. Whilst it may seem bright enough in the office or your white-walled home, in fact it's many times weaker than a decent Winter's morning - meaning you're seriously missing out on the exposure that could lift your mood. Also it's a great chance to incorporate some tips from my Digital Detox post by escaping the screens and leaving my phone in my back pocket! When winter rolls around, one of the everyday things I miss most is the lush greenery of summer. Aside from making your space look fresher and cleaner, bringing in some evergreen plants can purify the air, helping with asthma and headaches. Succulents and ferns are really easy to look after, and things like peace lilies thrive in low light conditions. Failing that, pick up some fresh cut flowers to add colour and brighten your mood - it's such an inexpensive way to deck out your home with joy. 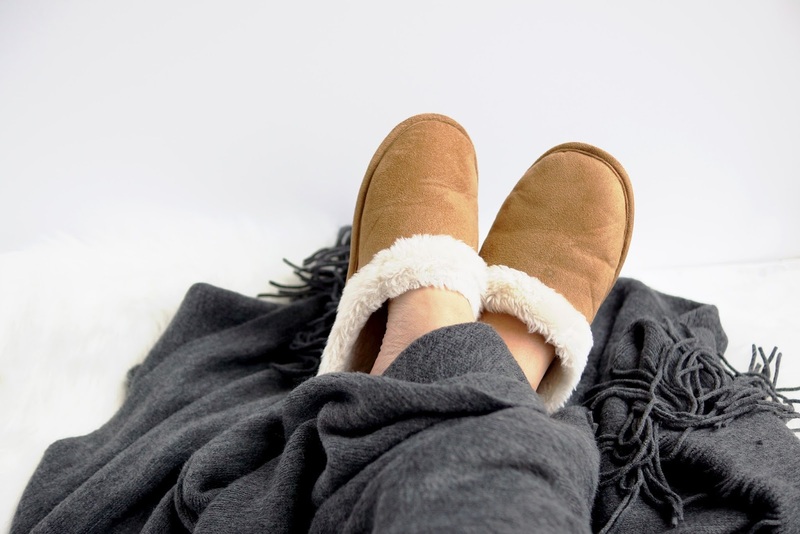 Another cause of the winter blues is the drop in temperature - especially that kind of chill that gets into your bones. 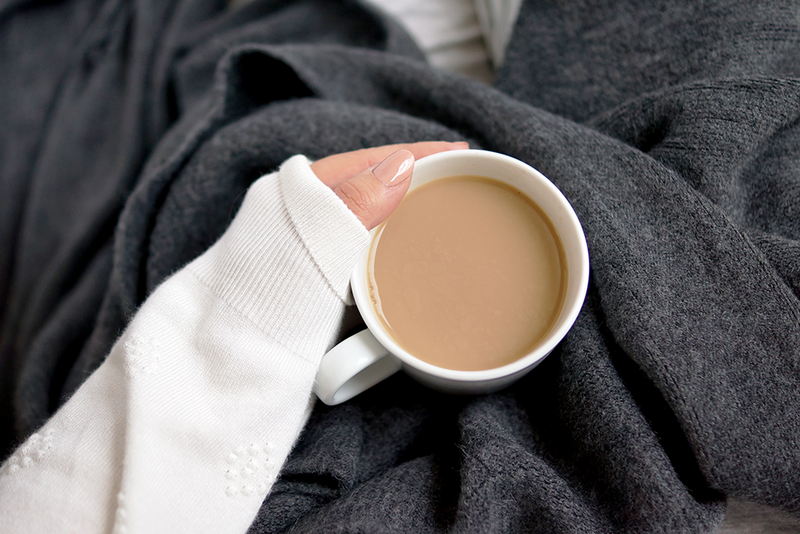 Stave off the misery by wearing warm clothing (slippers and cosy socks a must - I love my cosy little sheepyskins) and always having warm drinks on hand - I've been gorging on my Gingerbread Hot Chocolate recipe, it's amazing. And a blanket is obligatory too, I love this super fluffy blush blanket - although this Mermaid Tail blankie seems far more exciting don't you think?! There's a reason we crave chocolate - the good quality stuff contains pretty high levels of tryptophan, an amino acid involved in the manufacture of serotonin - the 'happy hormone'. Dark chocolate is your best bet, although I take this as an opportunity to eat both milk and white too.. Omega 3's are said to boost your mood too, so tuck into more flax seeds, walnuts and salmon during winter - I love to throw a load of nuts and seeds into my houmous, not to mention fresh chilli for some zing. Waking up in the mornings to a dark room is the most depressing start to the day. Using a lightbox like this one in the mornings can help you wake up more naturally, gradually getting brighter and simulating light from the sun, they leave you already feeling better before your day has even started. You can even have it around during breakfast to reinforce your body clock and help stop you feeling groggy when it's dark outside. In case I needed to reiterate the previous point, mornings are definitely the worst time for me - waking up to darkness and cold is nigh on soul-destroying! Something I've found to really help is actually setting the alarm 15-30 minutes earlier than I need and spending some time awake in bed just adjusting to the morning. Watching a Youtube vid or two really helps me 'acclimatise', making getting up much easier. What are your tips for staving off your winter woes? Those slippers looks so comfy!! This is such a lovely and inspiring post Jennifer! 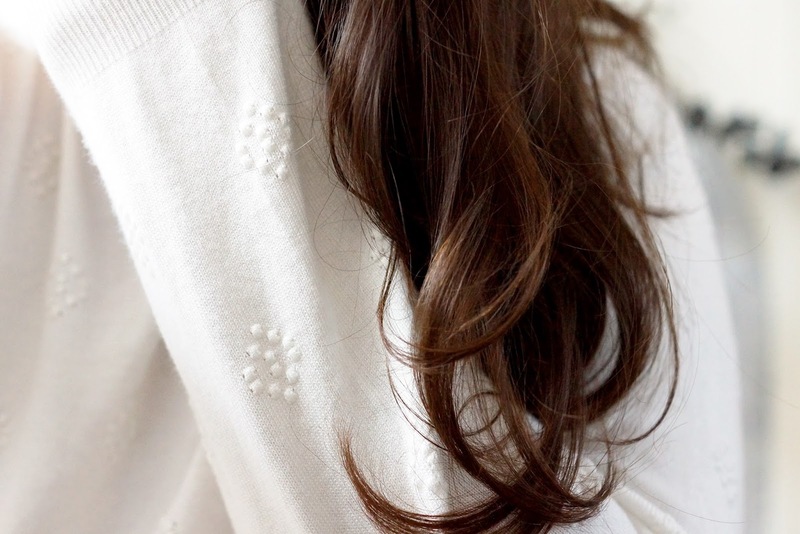 Love your cosy sweater & slippers, they look so soft. Happy winter! Nicole | The Glam Surge // Enter My Giveaway! I always try to go on a walk first thing in the morning when I wake up. A nice 30 minute stroll before I go off to work puts me in a good frame of mind! Love your slippers, those light boxes look lovely!